KUALA LUMPUR - November 27, 2008 - YTL e-Solutions Berhad (YTLE), a subsidiary of YTL Corporation Berhad, today entered a strategic collaboration with Cisco Services Malaysia Sdn Bhd (Cisco) to establish its WiMAX core network in Peninsular Malaysia. Under the agreement, Cisco will build and integrate YTLE's WiMAX core network - which includes IP CORE, Operating Support Systems, Billing Systems, Proactive Network Operating Center (PNOC), and Interoperability Testing labs - to help YTL quickly operationalize and launch new services. The business relationship is in line with YTLE's goal to provide mobile internet services nationwide. Upon the nationwide commercial service launch in 2009, Malaysians in both urban and rural areas will be able to simultaneously enjoy 4G converged services - mobile voice, data and video with full mobility, using personal WiMAX mobile devices over the YTLE's WiMAX network. "We have chosen Cisco because of its proven expertise and leadership globally in IP CORE network technology and experience in setting up PNOC. We need a technology partner that can enable a fast and efficient WiMAX core network establishment. Cisco has proven it with their innovative and leading-edge IP technology solutions," said Executive Chairman and Managing Director, YTL e-Solutions Berhad, YBhg. Tan Sri (Dr) Francis Yeoh. "Together with Cisco, YTLE will create a WiMAX centre of excellence in Malaysia to become a world destination for WiMAX technology development," he added. According to Cisco Executive Vice President, Services & Chief Globalization Officer, Wim Elfrink, "This collaborative model is a first for Cisco, and demonstrates how governments and technology leaders can together provide the network as a 'fourth utility' for delivering services that enhance business productivity and quality of life. By enabling the mobile Internet, YTLE and Cisco are helping to enhance the global competitiveness of Malaysia and its citizens." 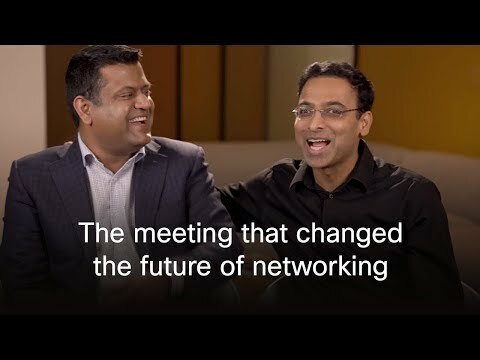 Elfrink added that this new type of collaborative relationship illustrates how Cisco is innovating with new business models adapted to the diverse needs of customers worldwide. YTLE plans to deliver affordable WiMAX packages with fast, wide coverage and always-connected mobile internet services that will cater to and complement the personal and business communication needs of consumers as well as the enterprise community. YTL e-Solutions Berhad (YTLE) is listed on the Mesdaq Market of the Bursa Malaysia. Through its subsidiary, Y-Max Networks Sdn Bhd, it holds a Worldwide Interoperability for Microwave Access (WiMAX) licence for a 2.3 GHz wireless broadband access spectrum, which was awarded by the Malaysian Communications and Multimedia Commission (MCMC) to roll out a nationwide WiMAX network in Peninsular Malaysia.